Welcome to my visual diary of the beautiful birds I photographed during the summer months. 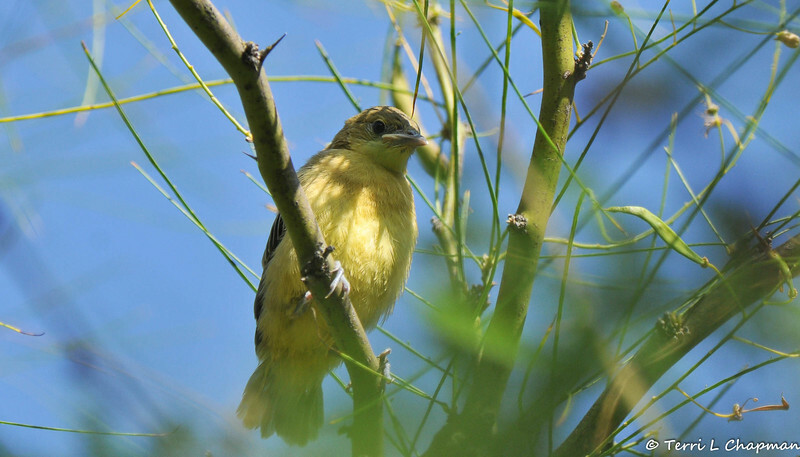 A fledgling Hooded Oriole in the process of learning to fly. Its parents were in the next tree, calling to their youngster, and encouraging it to fly. I was so lucky to get a few pictures before the fledgling flew to its parents.